How to assemble the GNB48 or GNB60 vineyard bench. Parts. Hardware: (6) 1 3/4" screws (1 or 2) 2" screws. (2) 3" screws (4) 2" Phillips screws (2) 1 3/4" Phillips screws. Tools: 4mm T-handle hex key (included) Screw gun recommended (not included). 1. Attach the left side frame to the seat using (3) 1 3/4' flat tip screws and tighten slightly by hand. For quicker assembly you can use a drill and 4mm hex bit in place of the provided 4mm t-handle hex key. 2. Repeat this step to attach the right side frame. 3. Place the back piece between the side frames using (2) 3" screws and (2) 1 3/4" bolts. 4. Use (1) 2" screw to attach the back piece to the seat. Tighten as shown. 5. Finally, attach the gussets to the bottom of the seat and the inside of the legs using (2) 2" Phillips screws as shown. Watch this video to learn how to assemble the GNB48 or GNB60 vineyard bench. 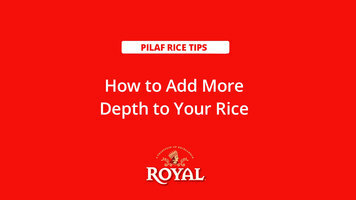 Want to add depth to your rice pilaf, but don't know how? Chef Maneet Chauhan is here to provide expert insight! The three major features of APW Wyott's Champion Cookline products are power, control, and safety. 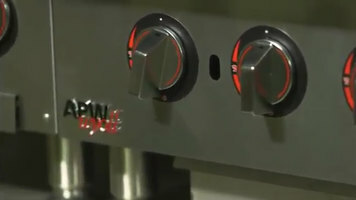 Check out this video to see how this line of cooking equipment accomplishes great results with all of these points in mind. 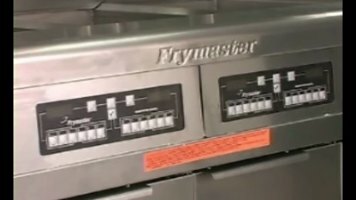 This video reviews important features of the H55 series from Frymaster, and will show you the proper way to begin using your fryer.